My mom use to always tell me: “a job worth doing is worth your best”. How many times have you started a project and you realized that you were not giving it you best. I have been in many situations that required me to complete something very quickly and during those times I did not give my best. If you that everything you do is a direct reflection of you, decide TODAY I will do my best. In this hurried world we live in it is so easy to put things together with little or no plan. When you do things in a rush, it does not benefit you or the intended audience. 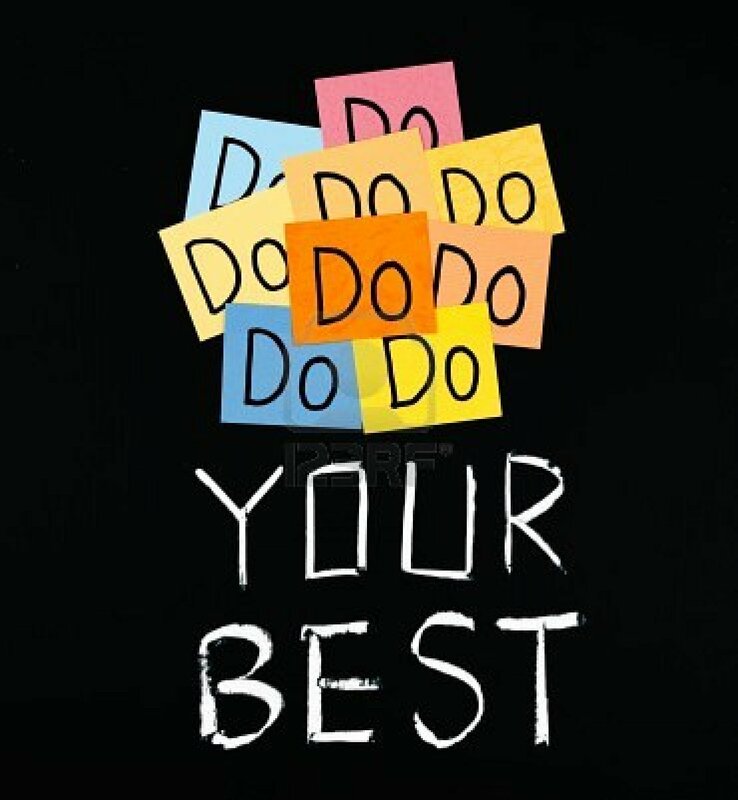 Make a decision, I will ALWAYS Do My BEST! !